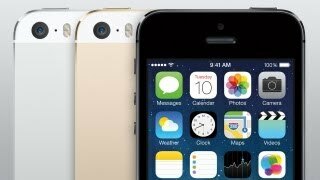 The iPhone 5S, released in late 2013, provides a massive upgrade for users thanks to a number of new features and improvements on old favorites. 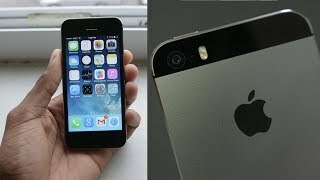 While it has some similarities to the iPhone 5, another quality phone from Apple, there are actually quite a few improvements. The phone features a better processor than the previous iterations of the iPhone, an improved camera, a great display, and even a battery that lasts longer. Of course, one of the biggest of these new features is the Touch ID system, a fingerprint scanner. Compared to the Apple iPhone 5, there are no surprises when it comes to the screen size. 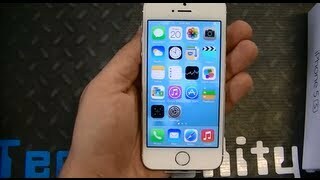 The iPhone 5S version features the same 4.0-inch display showing the same 1136 x 640 pixels resolution. The display is protected by Corning Gorilla Glass and oleophobic coating. It’s not even complete 720p resolution which is slightly disappointing as most of the phone being released this days are aiming for minimum 720p resolution if not full HD. 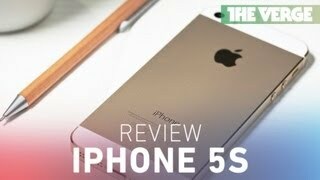 If you are familiar with the design of the Apple iPhone 5, you already know what to expect from the s version. There are no changes in dimension or placement of power or home buttons as well. 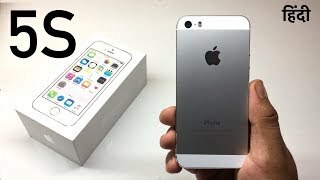 It will be running iOS 6 right out of the box but it’s ready to be upgraded to iOS 9.3 which is surprising judging the fact that it’s not highly specced like the latest iPhones which are running iOS 9.3 right out of the box right now. The phone is quite thin with a 7.6mm thickness and weighs about 112g. While most of the companies are aiming for phones with bigger screens these days, it can be a great option for those who still loves phone with small screen size. This can be a major deal breaker for some users, a 1.2-megapixel front camera. While it sounds enough for webcams, this is definitely not good enough if you are into selfies. However, it’s capable of recording 720p videos at 30 frames per second. For those who are mostly going to use the front camera for FaceTime only, it should be good enough. The front camera is capable of face detection as well. Thankfully it’s a completely different story when it comes to the rear camera. Another notable thing to worry about is that you don’t get a microSD card slot which is common if you are familiar with iPhones. Surprisingly they are still releasing 16GB phones while most of the smartphone makers are aiming for minimum 32GB storage nowadays. As there is no option to expand the storage size if needed, it will be a good idea to go for minimum 32GB version instead of the 16GB one. With Touch ID, users can access their phone faster than using a PIN or a passcode, which other phones, including older iPhone models, would use. The scanner is very accurate and only takes a few seconds to learn a user’s fingerprint. 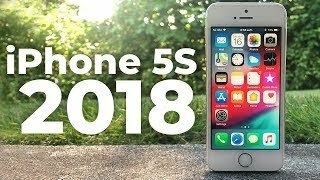 As mentioned, the CPU, the central processing unit, is also a step up from previous phones, and users will notice that the phone seems to open apps up and run even more smoothly than the iPhone 5, which was already a stellar improvement from previous iPhone options. The rear camera is another area with the iPhone 5S where smartphone users in the Nigeria will notice some nice changes. The camera on the phone is actually quite impressive, although many will not realize this if they are simply looking at the numbers on paper, as this is an 8-megapixel camera. Some people might believe it’s the same camera that we saw on the iPhone 5 because of the same megapixel. Still, the sensor is larger and it actually features larger pixels. Along with a larger aperture, this helps users obtain better quality, clear photos. 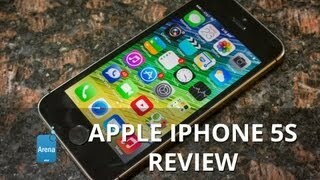 Users will also find that the low light photos they take with the iPhone 5S are better. The camera is capable of recording 1080p videos at 30 frames per second and 720p videos at 120 frames per second. Thanks to the new processor, an A7 with 64-bit architecture, the phone’s camera even allow for burst fire shots by holding down the shutter button. This is an improvement on the 5S, which required continued tapping of the button to take additional shots. Most of the necessary connectivity options are there in the smartphone including Wi-Fi 802.11 a/b/g/n, dual-band, Bluetooth v4.0, GPS and USB 2.0, reversible connector. dubai iPhone aficionados will also enjoy the ability to record HD video in 1080p HD at 30 frames per second with up to 3x zoom. The phone’s video recording features include geo-tagging, face detection, and the ability to take a still photo while recording video. The iPhone 5S comes in several different varieties. First, iPhone buyers in Nigeria can choose between 16 GB, 32 GB, and 64 GB models. They also have a choice of colors, which is something of a departure from the previous models. Black and white phones are available, naturally. However, they offer gold and silver as well, which helps to give the phones a bit more variety and personality. 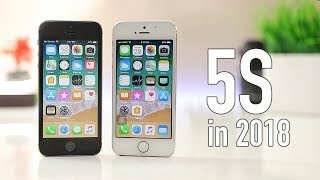 Other smartphones on the market, such as many different Android models, may have larger screens than the 4” screen the 5S boasts, but the brilliantly clear Retina display provides some of the best screens on a phone today. Size, in this case, does not matter. Overall, the phone provides a fantastic user experience and is easily the best phone Apple has put out onto the marketplace thus far. It is well worth considering for anyone in the market to buy new smartphone. The current best price for the iPhone 5S in Nigeria is ₦ 312900 for the 64 GB model, and ₦ 235700 for the 16GB model. Price has decreased 2% from ₦ 42900 on 2019-03-12 to ₦ 41900 today.